There is a simplicity and honesty to Dunkirk that makes it so captivating. This was never going to be an easy movie to sell: Dunkirk is after all a failure on the part of the British and essentially a prolonged and difficult evacuation. However, Christopher Nolan isn’t making propaganda. This movie is not about heroes (although there is at least two clear contenders for that title) and it certainly is not about victory. This is a simple, effective retelling of events and the realism with which Nolan does this is what makes it so engrossing. Nolan strips the movie back into three key tales. Three perspectives of the same event over three different time frames. These are spelt out for you at the very beginning and although it can offset you at times, the intricacy and the interplay between the three events helps offer a wide view of an event that did not just unfold over one day. Nolan offers the events over one week, one day and one hour and each give a fresh approach to the same event. The main crux of the film seems to come down to everyman soldier and aptly named Tommy. 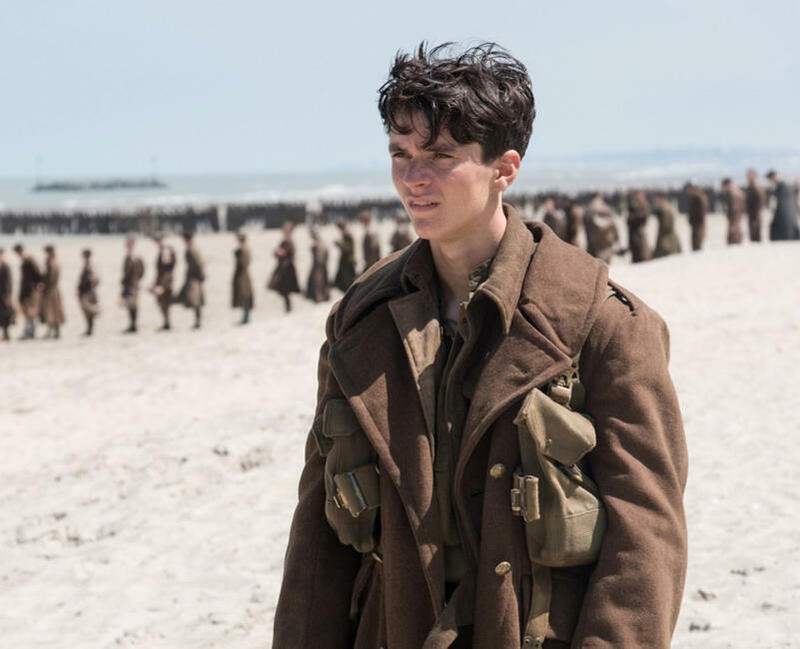 Played by Fionn Whitehead, he is the eyes on the ground and experiences the full-blown terror of trying to get off Dunkirk beach. This comes in stages, each more exasperating and nail-biting than the last. These moments aren’t big set-pieces either. 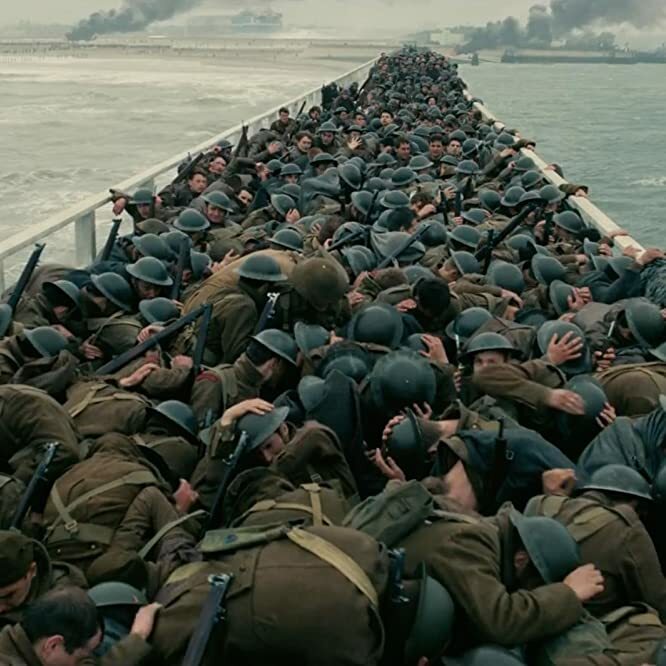 They are staged scenes and key moments in the movie but there is a quiet subtly to them, from escaping a sinking battleship or hiding in the hull of a small fishing vessel, waiting for the tide to come in; all of this shows that Dunkirk was not an explosive battle like D-Day but one of waiting, patience and fear as soldiers just tried to get home. The second perspective is of the civilian, not involved directly in the fighting. Dunkirk is famous for the intervention of the smaller, civilian vessels in getting soldiers home and this is portrayed excellently by Mark Rylance. Again, it is the more personal and quiet performance which has the most impact and his decision to genuinely ride into danger and an active battlefield, against the wishes of Cillian Murphy’s stowaway soldier, makes for some of the tensest but satisfying cinema moments. This story alone could have carried the Dunkirk movie and will uplift the spirit as much as crush it. The last story is of the air and relies on Nolan stalwart Tom Hardy. Hardy has little to do but offers another approach to the Dunkirk tale. 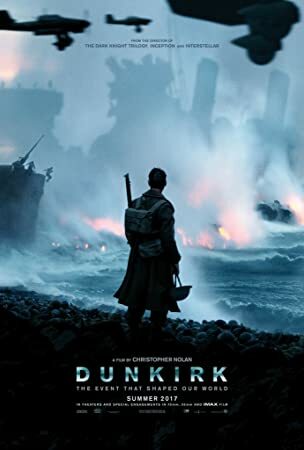 The story of the skies is often untold in the events of the Dunkirk evacuation and although this strand of the film is the weakest, it has it’s own, important aspects of the tale to offer and holds with it emotional weight too. Hardy also shows how well he’s become accustomed to acting behind a mask. The stories and plot strands aside, what is notable about Dunkirk is the lack of dialogue and the harsh realism to which the story is told. Although it doesn’t rely on gore and guts or shocking, bloody violence, Dunkirk feels very raw and real. It is directed in such a fashion that at times you shiver along with the men on the cold, October beaches. The lack of dialogue also adds to this lack of grandstanding which the movie benefits from. Dunkirk is not about huge gestures or one great, saving moments where the war was won. Dunkirk is the tale of desperate men doing desperate things to get home and is as told as such, exaggerating nothing but also not washing over aspects which do not sit well. It is a valuable and well-made piece to add to the throng of WW2 movies, of which few cover Dunkirk at all. Overall, Dunkirk is a masterclass is how to create a realistic, low-key but effective war movie. It takes an event which has no true and obvious glory and shows it for the stark and desperate event that it is. The stories and structure build a clear picture and the direction captures this event perfectly.